As seen here, most maps issued by the PR department of the Motor Parkway indicated the route and the location of the toll lodges including the Deer Park Lodge. However, as documented by Al Velocci's excellent book "The Toll Lodges of the Long Island Motor Parkway, and Their Gatekeepers' Lives" and my 10/10/08 toll lodge post, the Deer Park Lodge never existed. Here is further proof. 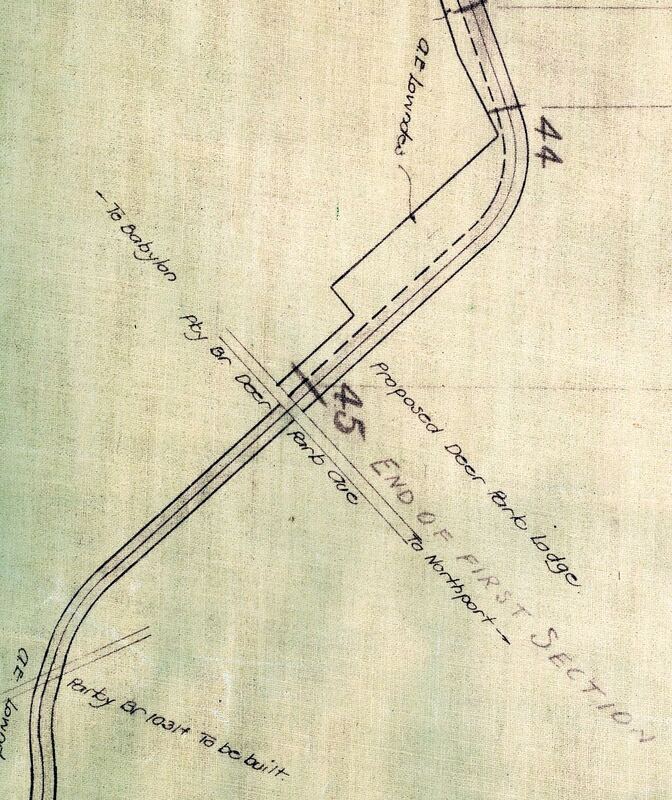 This 1929 Motor Parkway survey map shows the Dix Hills area around Deer Park Avenue. 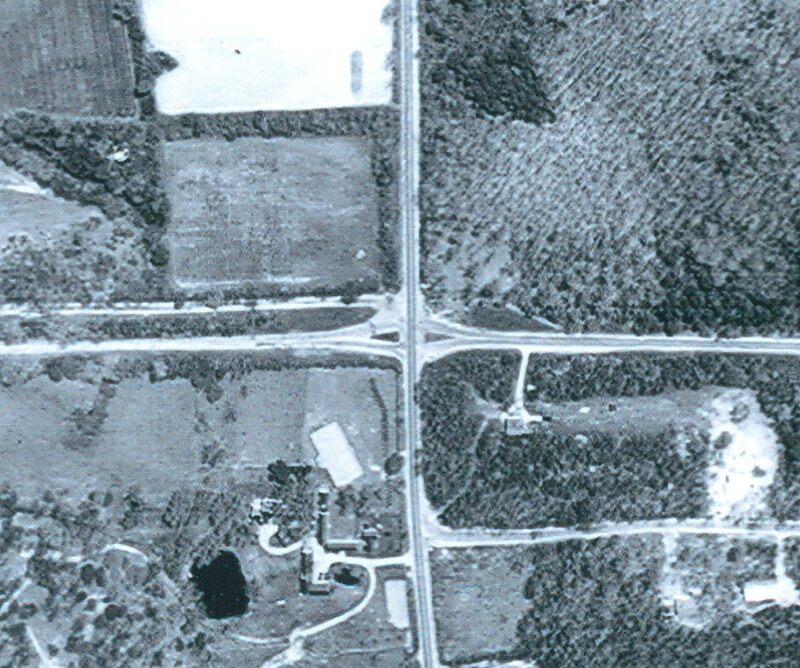 Note the survey includes the last bridge built in Suffolk County and the location for the "Proposed Deer Park Lodge". This 1950 aerial looking south shows that the Motor Parkway split near Deer Park Avenue, possibly due to remnants of the Motor Parkway bridge. This area can also be seen in this 1947 aerial from the New York State Archives Fairchild Survey Suffolk County Collection. Feedback and contributions are much appreciated on VanderbiltCupRaces.com . For example, I am still looking for a photo of the Motor Parkway bridge that went over Deer Park Avenue. Please leave your comments at the end of a post on the Blog or send an email to me at Howard@Kroplick.com .